Imagine the following hypothetical: The World Health Organization (“WHO”) is deeply involved in a high level cover up of the human impact and dangers of ionizing radiation, intentionally hiding the facts from the public, a chilling storyline! Ms Katz’s April 2017 interview, which this article is based upon, can be heard in its entirety. Please join us for a telebriefing on Wednesday, April 5, 8pm-9:30pm (EDT)/7:00pm (CDT). Arnie Gundersen of Fairewinds Energy Education will present Spring:The Season of Nuclear Disaster–Three Mile Island, Chernobyl, Fukushima. This will be an opportunity to learn more about three of the most disastrous nuclear accidents and their global impact: Three Mile Island (March 1979), Chernobyl (April 1986) and Fukushima (March 2011). These dates mark the beginning of catastrophic events that will impact humanity for milinea to come. As we move through the season that commemorates these events, join us as Arnie leads our disccussion on their far-reaching effects. This national conversation is appropriate for newcomers unfamiliar with this history and seasoned activists alike! We will reserve plenty of time for your questions and short comments at the end of Arnie’s presentation. The telebriefing is free, but registration is required. Your confirmation email will include the dial-in number. We will begin promptly at 8:00pm (EDT)/7:00pm (CDT). We hope you will join in! If you cannot attend, but would like to recieve the link to the recorded telebriefing, please register. We will send a link to the telelbriefing recording to all registered participants. Please forward this invitation widely; there are tons of younger people who may have never heard of one or more of these nuclear disasters who have a right to know. We need them to hear about these events, and to join the commitment to SHUT DOWN BEFORE MELTDOWN! NIRS holds quarterly tele-briefings. The next event will be in early June and the topic will be nuclear waste transportation—since there is a move to re-start the failed Yucca Mountain site in Nevada and a license application is in for consolidated storage in Texas. Watch for more info in May. 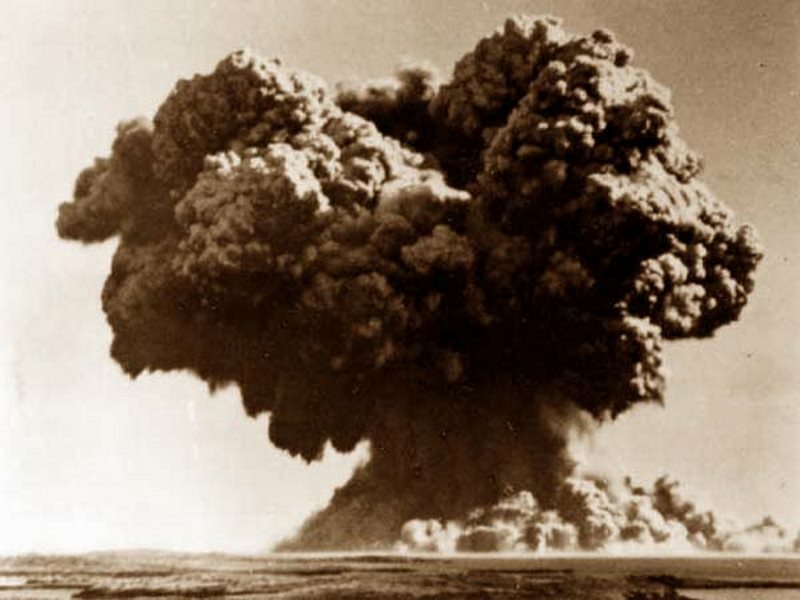 — Chernobyl, genetic damage, and the UK nuclear bomb tests – justice at last? Britain’s nuclear bomb test veterans suffered severe genetic damage from radiation, writes Chris Busby, and their case for compensation is being heard in the High Court today. Key to their case is evidence of similar damage inflicted on in utero babies exposed to radiation from the Chernobyl disaster, and how the dreadful health impacts of radiation cascade down to future generations. 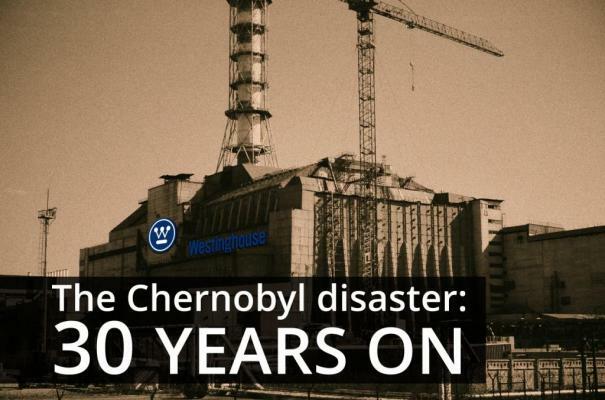 The world has had 30 years to assess the consequences for life on Earth of the disaster at Chernobyl. This is about the same period during which I have studied the effects of radioactive pollution on the planet. It was the radioactive rain in the mountains of North Wales, where I lived in 1986, that brought me into this strange Alice in Wonderland area of science, where people and children die, and the global authorities, advised by physicists, deny what would be obvious to a child at school. Chernobyl was mentioned as the star that fell to earth in the Book of Revelations. You may laugh, and it may be a coincidence, but the impact of the event has certainly been of biblical proportions. It is a story about the imposition by reductionist science on humanity of a version of the truth constructed from mathematics, not the only one, but perhaps the most important, since it involves the systematic destruction of the genetic basis of life. It is a story of lies, secrecy, power, assassination and money: the vast amounts of money that would be lost if the truth came out. Shortly after the murder in 1992 of the German Green Party leader and anti-nuclear activist Petra Kelly, the late Prof Ernest Sternglass (the first of the radiation scientist/ activists) told me that Kelly had just struck a deal with a German TV company to run a series demonstrating the true awfulness of the immediate effects of radiation. He said: if the truth came out, all the Uranium and the billions of dollars in Uranium shares would turn into sand. So something like a cover-up had to happen, and it did, continuing the process of chicanery and control of information that began with the nuclear weapons tests of the 50s and 60s. In 1959, as the genetic effects of the atmospheric tests became apparent, the control of the understanding of radiation and health was wrested from the World Health Organization (WHO) and passed to the International Atomic Energy Agency (IAEA). Photo caption: Explosion cloud from the UK’s Operation Hurricane atomic bomb test on Australia’s Montebello Islands, 3rd October 1952. Photo: Wikimedia Commons (Public domain). 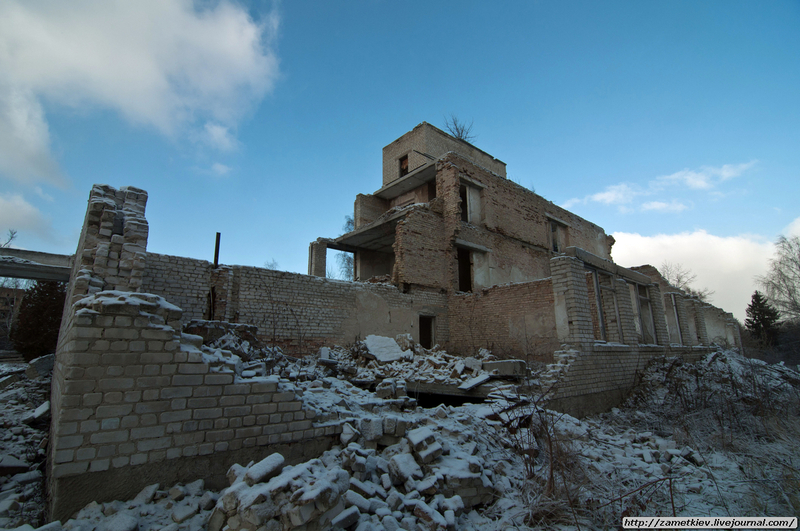 The arguments about the health effects of Chernobyl have mostly centered on cancer. I won’t write much about cancer here. The study of radiation and cancer has many complications, including that the data is often suspect, the time lag between the cancer diagnosis and the original radiation exposure can be 20 years, in which time a lot can happen, introducing ammunition (and opportunity) for those denying causation. The predictions of the global cancer yield of the Chernobyl contamination has ranged from around a million (as predicted independently by the European Committee on Radiation Risk (ECRR), Rosalie Bertell, John Gofman and me, to about 600,000 (Alexey Yablokov), to less than a few thousand (the International Commission on Radiological Protection (ICRP), whose risk model is the current basis for all legal constraints on radioactive releases in Europe. Cancer is caused by genetic damage but takes a while to show. More easily studied is the immediate and direct genetic damage, demonstrated in birth rates of congenital diseases, birth defects, fetal abnormalities, data which is easier to locate. The effects of a sudden increase in radioactive contamination are most easily seen in sudden increases in these indicators. You don’t have to wait 20 years. Out they come after nine months or in aborted fetuses with their heart and central nervous system defects, their lack of hands and feet, their huge hydrocephalic heads, their inside-out organs, their cleft palates, cyclops eyes and the whole range of dreadful and usually fatal conditions. There is no argument, and the affair is in the hands of doctors, not physicists. The physicists of the ICRP base their risk of genetic effects on experiments with mice. I was in Kiev in 2000 at the WHO conference on Chernobyl. On the podium, conducting the theatricals, were the top men in the IAEA (Abel Gonzalez) and the United National Scientific Committee on the Effects of Atomic Radiation (UNSCEAR), represented by Canadian Norman Gentner. “No effects can be seen” – Abel Gonzalez. “Internal radiation is the same as external” – Norman Gentner. Happily you can watch this farce as it was videotaped by a Swiss team (embed below). The new article recalculates the genetic risk from radiation based upon reports from Germany, Turkey, Greece, Croatia, Egypt, Belarus, Ukraine, Russia, Hungary, Italy, the UK, Scotland, Wales, indeed everywhere where anyone looked. There was a sudden jump in birth defects immediately following the contamination from Chernobyl and in proportion; but only up to the point where the exposure was so great the babies died in the womb or miscarried early in pregnancy. Thus, the relation between exposure level and effect was not a simple one where the birth defects increased with exposure: after a critical level of exposure they leveled off, or indeed fell. Also since contamination is still there, women are still giving birth to genetically damaged children some 30 years later. These results, published by many doctors, epidemiologists and researchers in many different journals, show that the effects occurred at levels of contamination that provided ‘doses’, that yardstick of radiation exposure invented by the ICRP, that were very low, often below the natural background dose. It is worse: from research on the nuclear test site veterans’ grandchildren (also reviewed in the study) it is clear that these effects continue down the generations and will only disappear when an offspring dies without issue, and leaves the genome of the human race. And many will or already have done: since what causes genetic malformation in the infant, at a larger dose causes fetal death and infertility. These facts now form the basis of the case of Britain’s nuclear test veterans, whose case I am representing in the High Court today. The UK government recklessly exposed them to a double blast of intense radiation from the gamma ray burst of nuclear bombs, and to the subsequent fallout, and has since washed their hands of the matter. The vetermans’ demand is that the sacrifice they and their families made should be recognised, and fair compensation paid. The MOD has resisted their claim by fair means and foul, but finally the evidence is assembled and their case is being heard. Today’s hearing is largely procedural, and the substantive hearings are scheduled to take place for some two weeks of June. So how can it be possible that the legislative system has got it so wrong? The answer is also given in the paper. It is that the concept of ‘dose’ which may be convenient for the physicists as it is simple to compute, really does not address the situation where the substances that provide the dose are inside the body, often bound chemically to the DNA, which is the acknowledged target for all these genetic effects. It shows that the human genome (and of course that of all life) is exquisitely sensitive to radiation damage from such internal exposures, to Strontium-90, Plutonium-239, Uranium and particularly to the nano-particles containing these radioactive elements which were produced when the reactor No 4 blew apart. Last month, Prof. Alexey Yablokov, Dr. Alex Rosen and I wrote to the editor of The Lancet, in a recorded delivery letter posted by the Independent WHO in Geneva, requesting space in that influential journal to draw attention to these truths and overturn the false and dangerous structures created by the physicists. Let us all hope that some good will finally come of the disaster – that the real legacy of Chernobyl will be the understanding of the true danger to health of radioactive pollution. And that Britain’s nuclear bomb test veterans, and their families, will finally receive the justice they so richly deserve. Chris Busby is an expert on the health effects of ionizing radiation. He qualified in Chemical Physics at the Universities of London and Kent, and worked on the molecular physical chemistry of living cells for the Wellcome Foundation. Professor Busby is the Scientific Secretary of the European Committee on Radiation Risk based in Brussels and has edited many of its publications since its founding in 1998. He has held a number of honorary University positions, including Visiting Professor in the Faculty of Health of the University of Ulster. Busby currently lives in Riga, Latvia. See also: chrisbusbyexposed.org, greenaudit.org and llrc.org. Study: ‘Genetic Radiation Risks – A Neglected Topic in the Low Dose Dabate‘ by Busby C, Schmitz-Feuerhake I, Pflugbeil S is published in Environmental Health and Toxicology. This article is an edited version of one originally published on RT. Latest book: Christopher Busby (2015) ‘What is Life? On the origin and mechanism of living systems’. QTP Publications. Illustrated by Saoirse Morgan. ISBN 978-0-9565132-1-2, 130pp. Order from Amazon UK (£10.00) or QTP publications 10 Bratwell Rd, Coleraine, BT51 4LB.